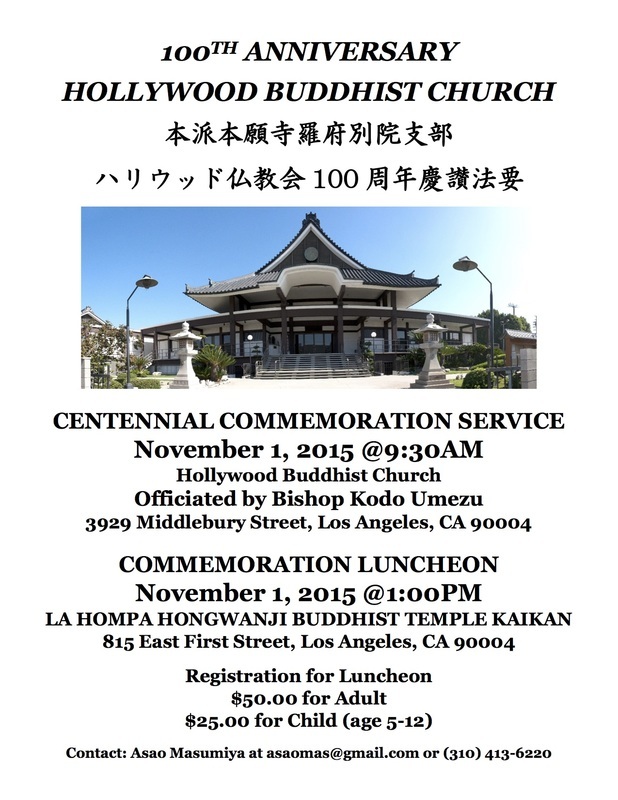 In honor of the 100th year anniversary of the Hollywood Buddhist Church, a special service and celebration luncheon will be held. 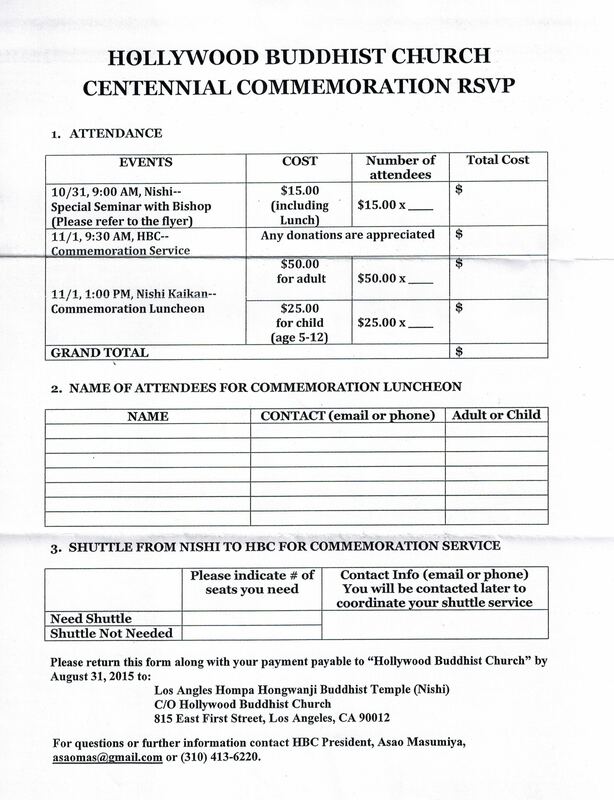 On behalf of Hollywood Buddhist Church, we invite you to join us on this momentous occasion. It is with the vision and sacrifices of our Issei founders, dedicated Nisei members, and past and present Rimbans and ministers from Los Angeles Hompa Hongwanji Buddhist Temple that Hollywood Buddhist Church continues to serve the community. We sincerely hope that you will take the time to attend to reminisce and share in this special occasion with us.